Installing fonts in Windows 10 is almost same as the previous versions of the Windows. If you are confused with the new interface then this tutorial will guide you ‘how to install font in Windows 10’. How to install fonts in Windows10? Below are the methods by which you can add new fonts to the windows. You can simply copy and paste the font files (.ttf files) to Fonts folder of your windows. Where is the Fonts folder in Windows 10? Normally you can find fonts folder in the Windows folder where it stores all the fonts. Look for the windows folder in the drive where you have installed your windows. It should be like “C:/Windows/Fonts”. Directly right click on the font file (Which you want to install. Usually its extension should be .ttf) and click on the ‘Install‘ option. It will automatically install the new fonts to the system. Click on the Fonts Menu. Here you can find all the installed fonts. You can search fonts by the name or by the language. Click on a font to see more details of the font. You can also change the settings of the font. 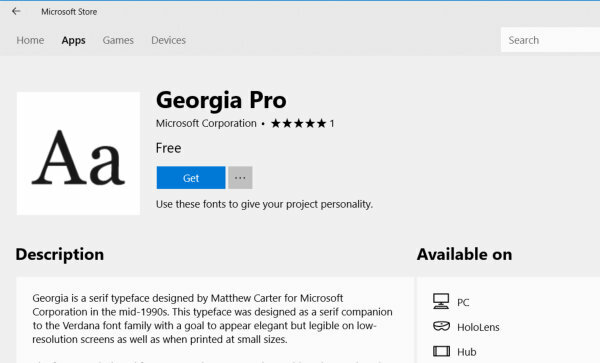 Microsoft have also give option to get more fonts from the Microsoft Store. 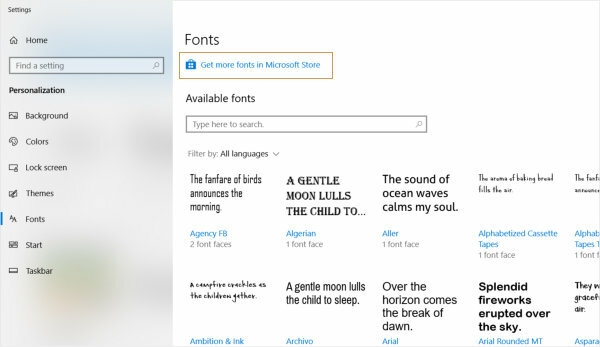 Click on the Get more fonts in Microsoft Store option. 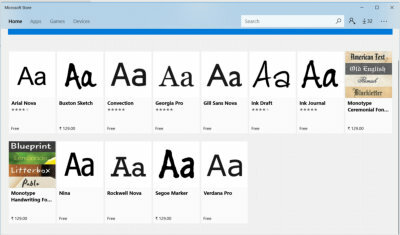 It will bring up another window of Microsoft Store with a list of fonts. Here you will find paid and free fonts. To install a free font Click on the desired font and then Click on the Get button. It will start downloading and installing fonts. After completion of the process Launch button will appear in place of Get. Now font has been installed successfully and you use the font in your applications. See the below screenshots for the reference. You can also uninstall or remove a font from the system using the below method. Click on the desired font which you want to uninstall. in font detail you can see the path of the font file and an ‘Uninstall‘ button. Click on the uninstall to remove the font from the Windows 10. For more information you can refer to how to install or remove a font in windows. If you can’t install the font then please share your experience in the comments section.